Stud Road Panels provides high quality, cost-efficient car restorations out of our Dandenong workshop. We operate a state of the art facility that specialises in sports and vintage car restorations. We offer a variety of restoration options designed to suit the budgets and requirements of all classic car owners. Our service ranges from minor repairs to comprehensive restorations. When it comes to cars, there nothing quite like the style and aesthetic of beautiful models from decades ago. We’re talking about Chevrolet 210s, Morris Minors, Pontiac Trans Ams, Ford Falcons – you know the type. If you have one of these incredible vehicles hiding away that’s in need of a car restoration, bring it down to the experts at Stud Road Panels. Located in Dandenong, we are conveniently located to provide our service for classic owners in Keysborough, Endeavour Hills and throughout Melbourne’s eastern suburbs. 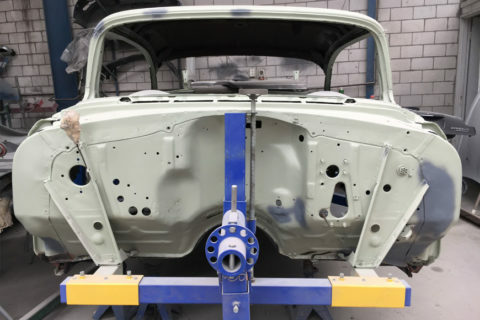 When you find yourself asking, ‘where is the best car restoration service near me?’ think the Stud Road Panels name – we have you covered with the most advanced and comprehensive restoration service in the area. If you need to restore a classic vehicle by yourself, Stud Road Panels will happily help source your parts. 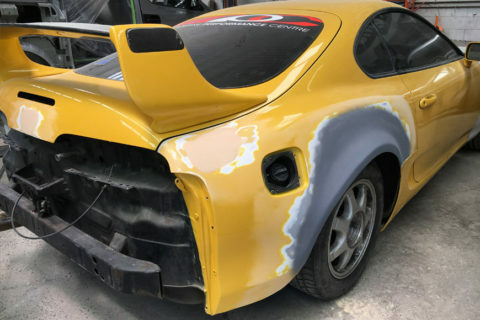 Obtaining the necessary parts for your restoration can be incredibly difficult. However, as leading vehicle restorers, we have an extensive network of contacts we can easily attain the necessary parts from. If the required parts are nothing short or impossible to find, we can contact specialists to produce these parts for you where possible. Stud Road Panels is your complete classic car restoration expert, providing an extensive variety of services from minor repairs to repainting your vehicle, car upholstery, classic dash refurbishment, body-off auto restoration and so much more. As opposed to many restoration services in Melbourne, we can help with both the cosmetic and mechanical aspects of your vehicle. When you need a comprehensive classic auto engine restoration, we utilise the expertise and services of the best original equipment manufacturing specialists. If your vehicle requires our interior refurbishment service, we only utilise the finest materials available on the market. As a leading provider of car restorations services in Melbourne, we can repair existing vehicles or re-create the interior upholstery to give it a flash new finish. Have a classic car restoration project you would like to discuss with our team? That’s great. 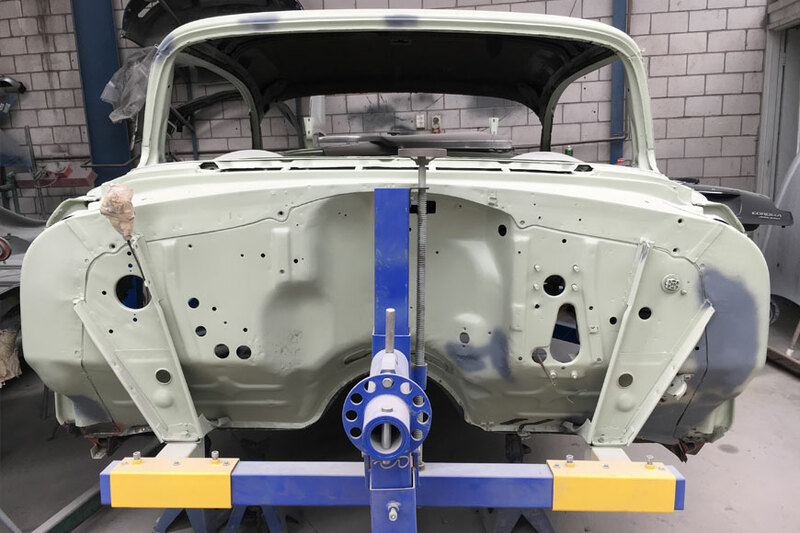 At Stud Road Panels we are always happy to discuss any new projects, and will be happy to have a chat about your classic car and what we can do to give it that fresh breath of life. Give us a call on (03) 9792 4913 or submit an enquiry form on our contact page. We will get back to you as soon as possible and with all the information you require regarding your classic car refurbishment. We offer a full range of panel beating and smash repair services. We can help you with everything from a simple scratch in the paintwork to a comprehensive classic car restoration. Private work, insurance work, commercial or fleet repairs, we can handle the lot. Do I get warranty on my repairs? Yes. You get lifetime warranty on all authorised repairs. The first 3 years is covered by Stud Road Panels from then on the repairs are covered by you insurance company. We will give you an estimated completion date for the repairs. It does depend on the amount of damage, type of vehicle, workload, etc. We do provide a free courtesy vehicle for your convenience for the time you are without your vehicle. Will my car be repaired using genuine parts? Yes. 100% of the time we use genuine parts. These days is doesn’t pay to use anything else.